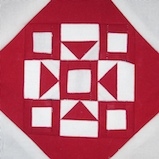 It’s been a couple weeks since I posted block arrivals, and in the meantime have received a whole bunch, which I’ve been inserting in the assembled rows. 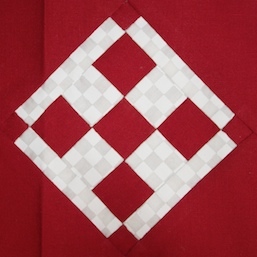 We’re up to the last row in terms of adding sashing and piecing together, after which I just have to sew the rows to each other to finish the center section. 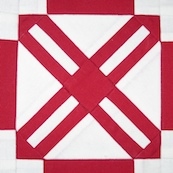 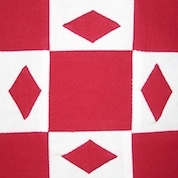 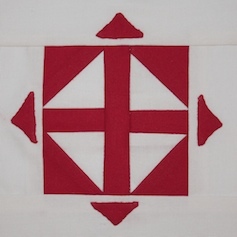 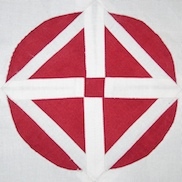 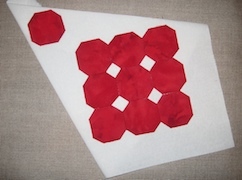 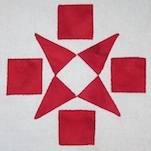 As mentioned previously, the plan is to do solid red and white triangles with the corner kites pieced/appliqued. 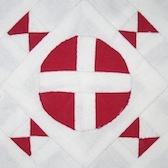 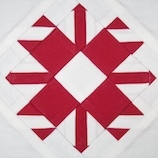 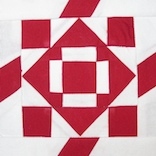 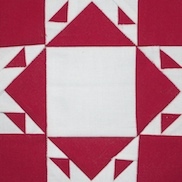 So here’s a special request: if you used fabric other than the Kona Rich Red and PDF White when making your block(s), it would be nice to also incorporate it into the triangles. 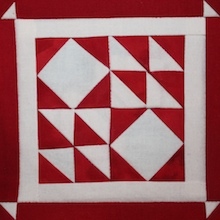 So if you have leftover fabric and can mail me one or two 7″ x 10″ piece(s), I will do my best to work it in. 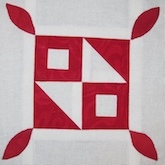 I have no idea how it will look, but suspect it will enhance the overall look of the quilt. 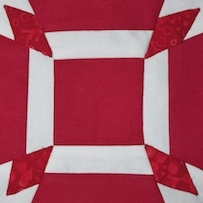 So here are the latest blocks! 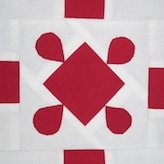 Make sure to also check out the Quilt Layout Chart (see tab above), because it’s almost all filled in.